HOLIDAY HOMES TO RENT IN BURGUNDY. Welcome to our selection of holiday homes to rent in Burgundy, France. Whether you are interested in history and culture, walking, outdoor sports or fine food and wines, there will be something of interest in the large eastern region of Burgundy. The area's most famous export is undoubtedly the red wine that shares its name, and certainly no visit to the area would be complete without a trip to a vineyard to try some of the local produce. However there is much more to Burgundy than just wine; including its picturesque countryside, offering outdoor sports, as well as its historical and cultural centres. Cyclists are particularly well catered for in Burgundy. Rather than having to battle with cars and lorries on narrow country roads, keen riders have an entire 120 kilometre route through the region all to the themselves. The �Voie Verte� or Green Way follows the path of an old railway and is for cyclists and walkers only. Taking you through the heart of the Burgundy region, passing close to some of the most important and popular attractions, the Voie Verte is popular with locals as well as tourists, and most shops close to the route have bicycle hire shops to cater for the demand among visitors. There are also cycling and walking routes alongside the Burgundy Canal., which stretches for over 240 kilometres through central France. Of course, the best method for exploring this waterway is by boat, and you can enjoy day trips from many of the towns on its banks or even take a boating holiday and explore the whole length of the canal. The Morvan Regional Nature Park is a huge area of countryside that is spread over four departements of the Burgundy region. Crossed with walking routes of varying lengths, this hilly area is the perfect place to find some peace and enjoy the summer sunshine. Water sports are available on the rivers and lakes in this area too, including fishing, canoeing and sailing. The main town of Dijon, celebrated for its eponymous mustard, has a beautiful medieval old town, with many of the half-timbered houses decorated with coloured tiles on their roofs too. Most of the old town is pedestrianised, including the large main square in front of the town hall. Many of the most famous historical monuments in the Burgundy region are located outside of the main towns. From the prehistoric Beuvray mount to the excavations of a medieval construction site at Guedelon, those with a passion for history are well looked after in Burgundy. The most impressive buildings in the region usually have a religious past, such as the Romanesque masterpiece that is the Vezelay basilica or the Cluny Abbey. Perhaps the most famous of these is the Fontenay Abbey, which has now made it onto the UNESCO World Heritage List. Located in the north of Burgundy, the Abbey is a very well preserved 12th century construction, with pleasant gardens and an impressive collection of religious art. Looking for self catering holiday accommodation in Burgundy? 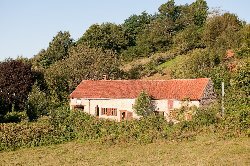 Then below is a selection of gites in Burgundy and villas in Burgundy that can be rented direct from their owners. You can either click on each listing for further details or you can use our search engine on the left if you are looking for something in particular.